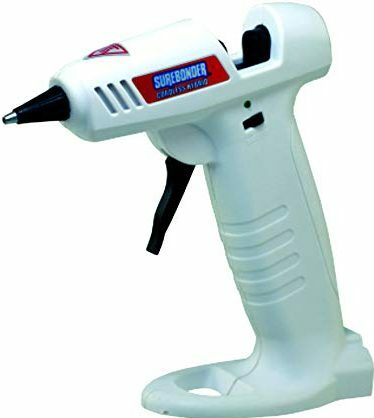 You do not need a power outlet to use this tool as the mini cordless glue gun works with four AA batteries. There have been some slight complaints that it does not heat up well, but you can solve the problem. You can use two Li-ion batteries to help raise the voltage to 8-volts instead and heats up in seconds. Compared to purchasing an expensive model you can still get away at an affordable price when buying this gadget. 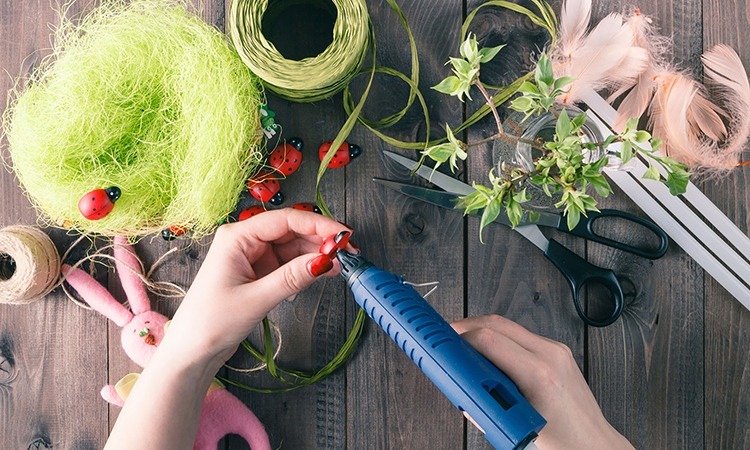 For taking care of quick projects, you can do with the help of the American Crafts cordless hot glue gun. The price is affordable, and you receive three mini glue sticks included. You can use it with any replacement 4 x 0.28-inch glue sticks but does not include the batteries. 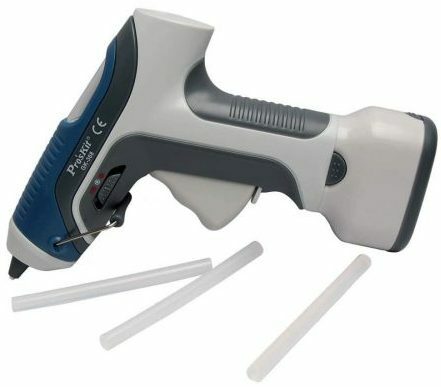 Do you need a handy high temperature cordless hot glue gun to repair everything around the home? The SUREBONDER has another high-powered model for you to use at an affordable price. 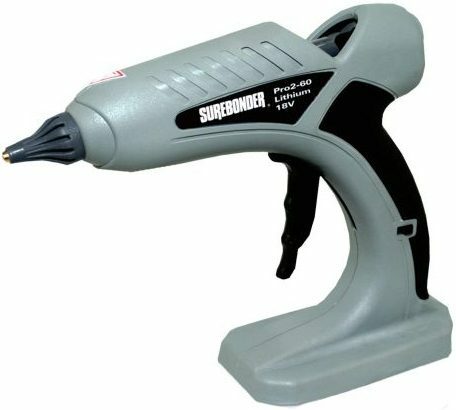 The power is more than the standard glue gun and has an auto shut off function that switches the device off after 30-minutes. The apparatus has an insulated nozzle with side fins and a safety fuse. You can buy it in three different models with a 20, 60, or 100-watt dual temperature. The Pros Kit is a fully functional cordless hot glue gun offering you fantastic use paired with Energizer Ultimate Lithium batteries. The device heats up instantly and has a built-in flashlight at the tip. The trigger is comfortable to use and the battery pack you can remove. With the incorporated stand, it helps to place the apparatus securely and great for light-duty use. The cordless hot glue gun from Ryobi provides you a reliable glue feed, but only has a single size tip. What this means is that you cannot adjust the temperature to a colder setting. Users would have loved to have interchangeable heads to use with different glue sticks. 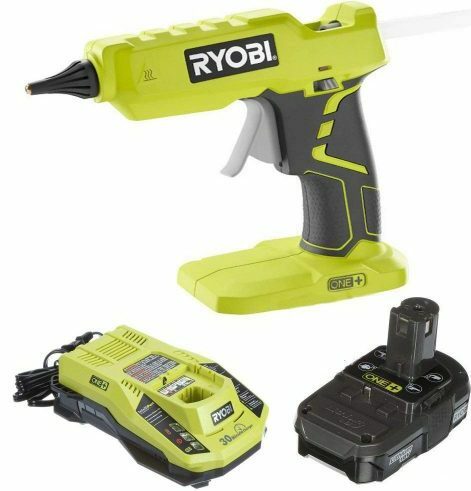 You can use it with the Ryobi One 18-volt battery sold separately. There is an LED indicator informing you if the tools powered for use or off. 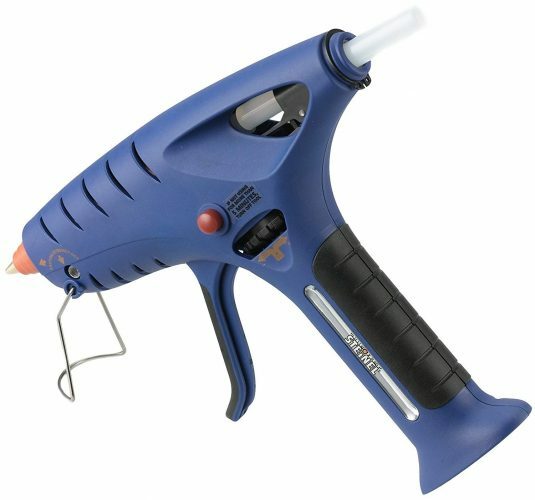 Now, for something completely different in cordless hot glue gun designs meet the Butane powered model. The device is handy to use for crafts and is easy to refill. 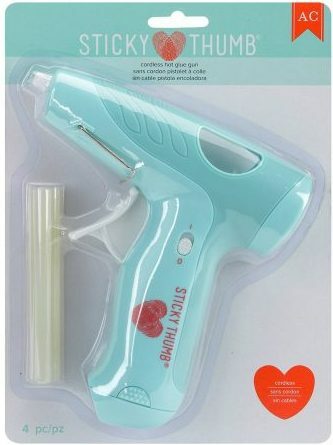 The glue gun heats up quickly and feels lightweight in hand. There is an on/off switch and with a pumping use, your projects glued together in minutes. 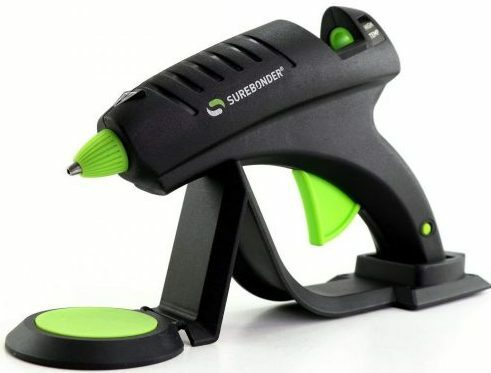 Do you need a high temperature cordless hot glue gun? The PRO2-60 will ensure that the glue heats up at the right temperature to take care of repair jobs around the house. The nozzle is replaceable and available in different shapes. On the top of the nozzle, it has a protective rubber that prevents you from burning. You can use it with acrylic glue sticks and weightless in hand. 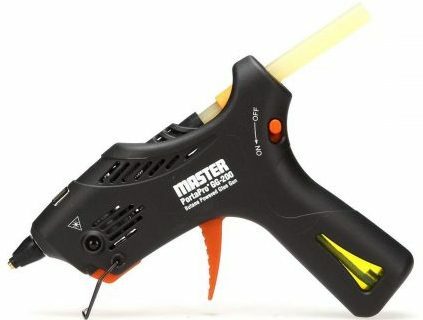 Here we have another butane cordless hot glue gun from STEINEL. The TM 6000 gives you up to 100-minutes of continuous use. You can refill it with butane, and the fuel cells are removable. The hot-melt adhesive gun works with 0.5-inch glue sticks you need to buy separately. 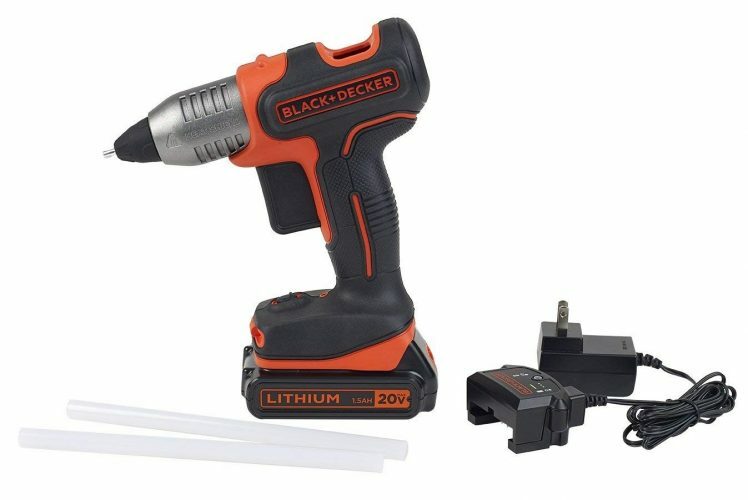 For a portable hot glue gun without cables getting in the way, you need the Black & Decker. With the battery, the device weighs less than two pounds and the battery power lasts up to an hour. The biggest complaint is the battery takes longer to charge. The price high compared to other tools reviewed here but has a durable design. 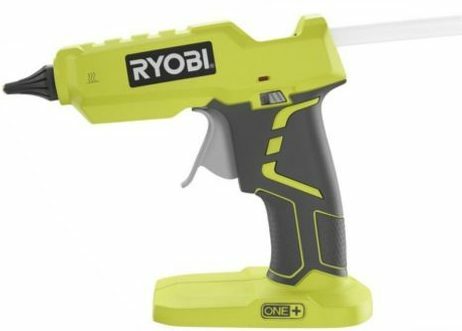 The cordless hot glue gun might be expensive but is one of the best Ryobi hot-melt adhesive guns available. No matter what your requirements are, you can use it for crafts to repair jobs around the home. The battery pack takes 30-minutes to charge and runs out in half an hour as well. So best to keep some spares on hand or use it with the Ryobi 18-volt battery that runs up to 3.5-hours of use. With the best cordless hot glue gun by your side, there is no more need of searching around for a power outlet. For the contractor or DIY user, this is excellent news. Now you can glue your airplane model and fix cupboards quickly with the versatile design. You can even get one with a universal design such as the PRO2-60 or pick a butane one to take with you to the industrial site.